Ever wonder what it is like to train animals? Now you can find out! Follow around ABI trainers for a day and participate in our training programs. Our guest trainers learn how to prepare diets, feed the animals, and assist with regularly scheduled training sessions. Each program is a little different depending on the day. 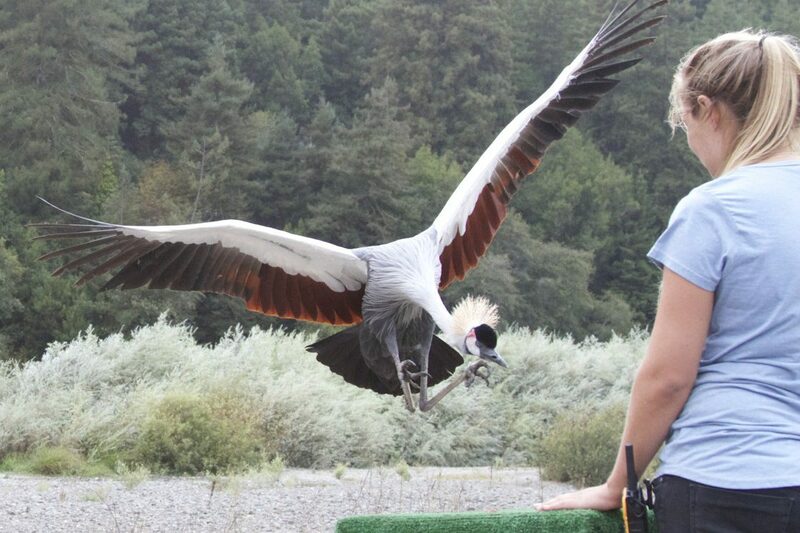 Trainers will participate in our free flying parrot and raptor training sessions, as well as work with us to prepare our other various birds and farm animals for events. This activity provides a fascinating view into the world of animal training, whether you have had a lifelong interest in animals, are looking for a fun family activity, or would just like the opportunity to get closer to these incredible creatures. Bring your own sack lunch and enjoy a Q&A with our training team.